1. Click on View and Preferences, Global Settings. 2. Fill out the Qpay URL. 3. Click OK and close. 1. Click on Master Files and Vendor. 2. Create a Vendor profile for Qpay. 3. 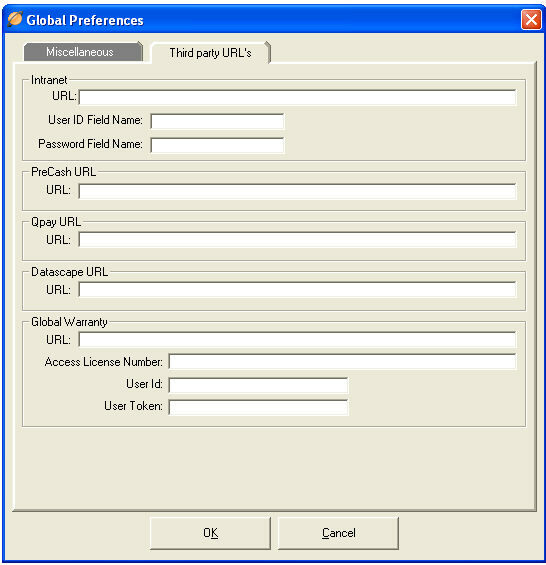 Click Associate eVendor drop-down menu and select Qpay. 5. 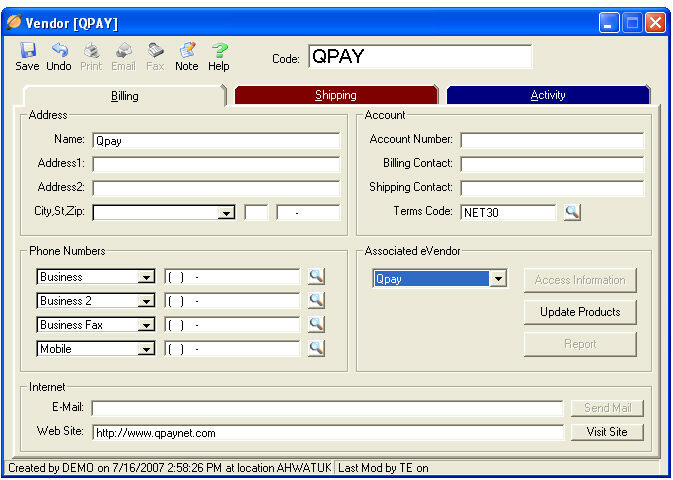 Select a department for the Qpay Product then click Add next to the product. 6. Click Select in the upper left hand corner of the screen, and the screen will close automatically. 7. Save the Vendor file and close. 1. Click on Master Files - Users. 2. 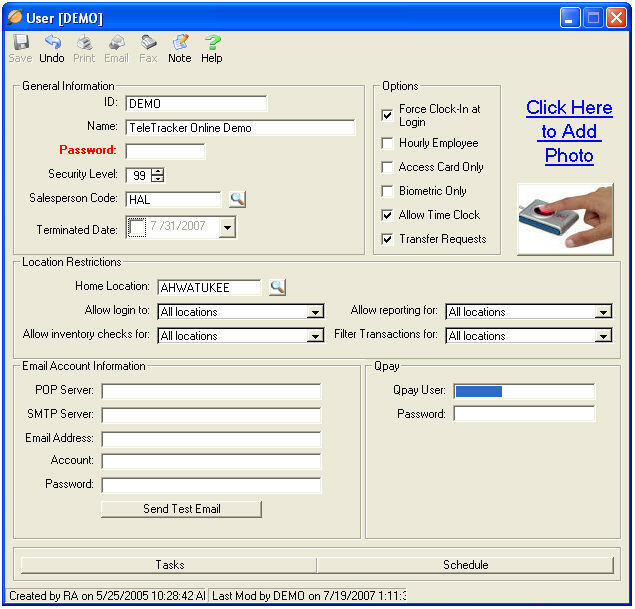 Enter User ID and password for each user account that will access the Qpay system. 3. Save changes and close the window.